2011 saw some great Walt Disney World Resort offers from FloridaTix, including the popular 14 day ultimate ticket for the price of 7. In fact it was so popular the deal has been extended and is still on offer for 2012! We have been able to secure this amazing ticket until September 2012, meaning that guests will gain huge savings whilst enjoying the magic of Disney for twice as long. You can visit all 6 parks in Orlando including, Magic Kingdom, Epcot, Disney’s Animal Kingdom, Disney’s Hollywood Studios, Typhoon Lagoon and Blizzard Beach. You can get your very own Disney 14 days for the price of 7 tickets directly from FloridaTix. As if this deal couldn’t get any better, FloridaTix also offer this with the exclusive Flroida FAN-tastic ticket, meaning you could save even more and get admission to all of the top Orlando attractions. This includes all 6 Disney parks, Universal Studios Florida, Universal’s Island of Adventure, Aquatica, SeaWorld Orlando, Busch Gardens Tampa Bay and Wet n’ Wild, plus much more! The Florida FAN-Tastic ticket is only available on FloridaTix, so to get the best offer on Orlando’s parks visit the official site and book yours today! As an additional bonus, FloridaTix are also offering a $10 dining voucher for Plant Hollywood which is located in Downtown Disney and available with either of these great tickets. 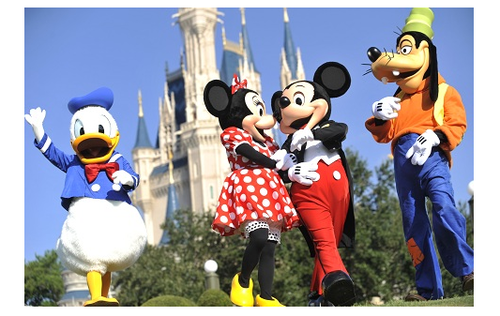 www.floridatix.co.uk – Since 1996 FloridaTix has been the UK’s leading supplier for Disney tickets, Universal Studios tickets and many more Florida attractions. We are an authorised broker of all attractions, theme parks, shows and sightseeing tours offered on this site so we can guarantee you the best possible holiday experience at the best possible price. This press release was distributed by ResponseSource Press Release Wire on behalf of FloridaTix in the following categories: Entertainment & Arts, Travel, for more information visit https://pressreleasewire.responsesource.com/about.